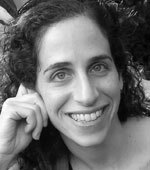 Kerry Milch is a Research Associate at the Center for Research on Environmental Decisions (CRED) at Columbia University. Kerry joined CRED in 2005 as a graduate student. She received her Ph.D. in 2010 in psychology from Columbia. Her doctoral research focused on the relationship between perceived closeness to a future self and intertemporal choice, specifically how resource construal (e.g., adopting a pro-spend vs. pro-save mindset) and ways of feeling close to a future self (e.g., feeling similar, feeling a sense of responsibility, etc.) affect intertemporal tradeoffs. Kerry currently works with Ben Orlove at CRED on a project examining perceptions of climate change in glacier communities. She coordinates a team of research assistants in coding interview, focus group, and community meeting transcripts for references to the impacts of glacier retreat and links to climate change, and for the social and temporal scales speakers adopt in discussing these issues.